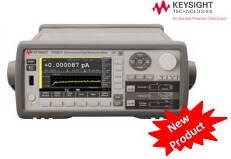 Available now from Aspen, your Premium Partner for everything Keysight. Get the next-generation data acquisition (DAQ) system with a 3-slot mainframe and your choice of 8 plug-in modules. Combine the latest precision of the DAQ970A multi-channel DAQ with BenchVue programming capability to interface with the DAQ using Keysight BenchVue DAQ software, the intuitive graphical front panel with task oriented, self-guiding menus, or a web browser. Ability to measure frequency of signals up to 300 kHz to measure mechanical rotary dynamics, power line cycles. Increased waveform update rate from 50,000 to 200,000 waveforms per second, making this the most responsive oscilloscope in this class of scope. Existing customer scopes can be upgraded to the new performance standard by purchasing the DSOX2PLUS option. New firmware for 1000X, 2000X and 3000X oscilloscopes have been released. Upgrade the firmware on your scopes to take advantage of new features and performance. The update for the 1000X is the first since launch 1 year ago, it includes performance enhancements to the Bode Plot feature. The 2000X firmware is essential to upgrade to the DSOX2PLUS performance. The 3000X firmware includes support for new probes. All firmware also includes bug fixes as detailed in the respective release notes. Firmware for the 3000X-T, 4000X and 6000X was updated in October 2017. It's a good time to check your other instruments are updated too! 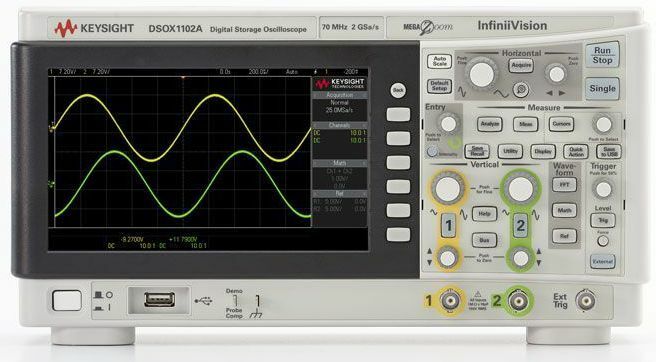 The Keysight InfiniiVision 3000 X-Series features the deepest memory in its class with up to 4 Mpts of Keysight’s patented MegaZoom IV technology that is always enabled and always responsive providing the industry’s fastest update rate at up to 1 million waveforms per second, with no compromise if you turn on measurements or add digital channels. Keysight’s InfiniiVision Series oscilloscopes are the industry’s only scopes to use hardware-based serial protocol decoding. Other vendors scopes use software post-processing techniques to decode serial packets/ frames.In addition, the 3000 X-Series offers 33 automated measurements, nine parametric triggers, six serial protocol triggers, as well as seven waveform math functions including (FFTs), stored setups and waveforms, mask testing and much more. Click Here to view the entire 3000T X-Series range of Oscilloscopes. 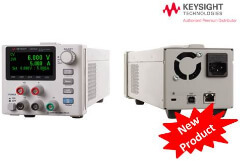 Keysight E36100 Series basic DC power supplies feature a compact size (2U, ¼-rack), a high-contrast OLED display that is viewable from any angle, and modern USB and LAN (LXI Core) connectivity. They also include low power current measurement capability and overvoltage, overcurrent, and overtemperature protection. You can control these power supplies via the intuitive front-panel interface, a Web interface running on a browser, a SCPI or IVI program, Keysight IO Libraries, or a BenchVue app running on your PC or mobile device. Click Here to view the entire E36100 Series of Power Supplies. Find potential problems more quickly with the higher resolution and affordability of the U5850 series TrueIR thermal imagers. Get 320 x 240 pixels of in-camera fine resolution from its detector resolution of 160 x 120 pixels. With the built-in image logging capability, easily track performance of the system you monitor at a specific interval. Plus, you can analyze temperature changes over time with trending graph. Coupled with the powerful manual focus feature, users can focus on an object as close as 10 cm away – our solution provides clearer and sharper thermal images that reveal finer details. 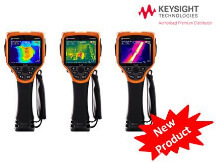 Click Here to view the entire range of Thermal Imagers available from Keysight. 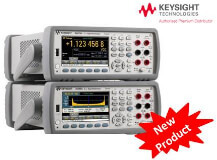 Keysight introduces 2 new performance Truevolt Series digital multimeters. The new 6½ digit 34465A and 7½ digit 34470A DMMs represent the next generation of bench/system DMMs from Keysight. The new DMMs have graphical displays, such as trend and histogram charts, to provide more insights quickly. Both models also offer a data logging mode for easier trend analysis and a digitising mode for capturing transients. The new 34465A model adds more performance with optional faster reading rates and additional memory. 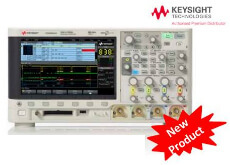 With the new 34470A model, Keysight enters the performance 7½ DMM segment. Click Here to view the 34470A. The N6781A, N6782A, N6785A, and N6786A have multiple current measurement ranges making them tuned to measure the different operating states of a device; off-, sleep-,standby-, and transmit-mode. In addition, the top three ranges support a Keysight Technologies,Inc. exclusive feature called “seamless measurement ranging.” When you enable this feature, as the current drawn by the device under test (DUT) changes, the SMU automatically and instantaneously detects which current measurement range will return the most precise measurement and changes to that range seamlessly. When combined with the SMU’s built-in 18-bit digitisers, seamless measurement ranging enables unprecedented effective vertical resolution of ~28-bits. This provides unrivaled productivity gains and insights into power consumption never possible before. 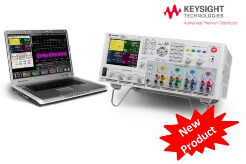 Only Keysight’s N6780 Series SMUs let you visualize current drain from nA to A in one pass and one picture unlocking insights to deliver exceptional battery life. Click Here to view the entire range. Keysight has expanded its B2980 Precision Instrument Family by offering the new B2980A Series Femto/Picoammeters & Electrometers. The B2980A is the world’s only graphical Picoammeter/Electrometer that can confidently measure down to 0.01fA and up to 10P. Best-in-class 2 pA-20 mA ranges and internal 1000 V source ensure accurate 0.01fA & 10 PΩ measurement capabilities. The battery operation models eliminate AC power noise from measurements. Graphical Time domain view enables capture of transient signal effects and selection of the desired measurement data. Graphical Real time histogram view provides quick statistical analysis of measurement data. Optional Test setup integrity checking function and dedicated accessories ensure maximum accuracy. Click Here to view the B2981A Unit.